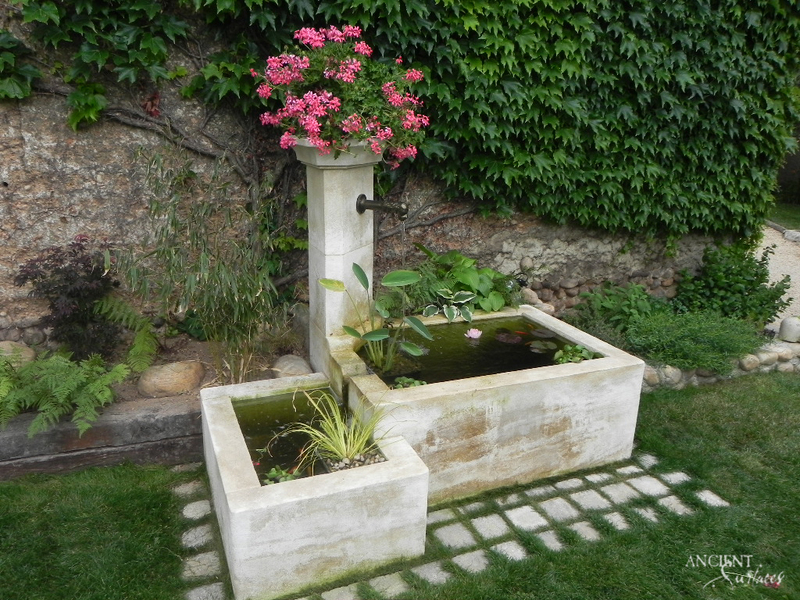 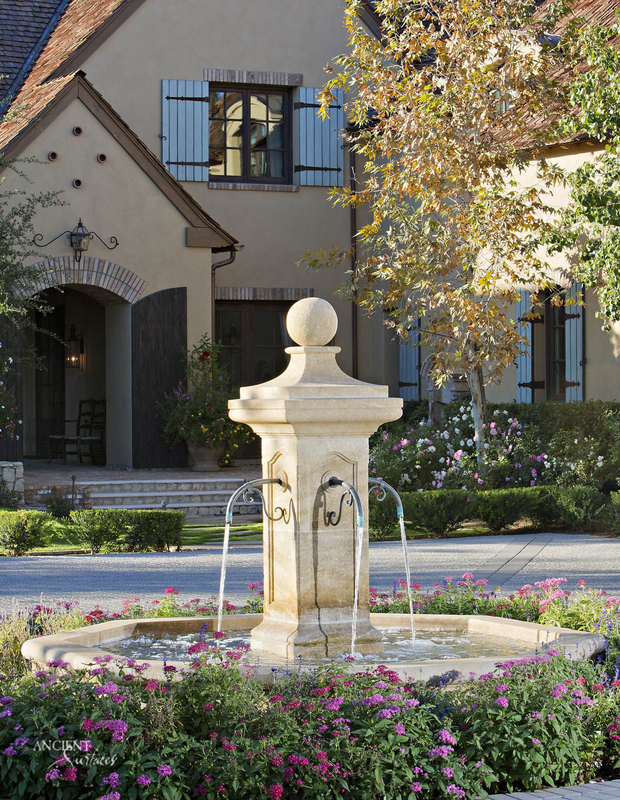 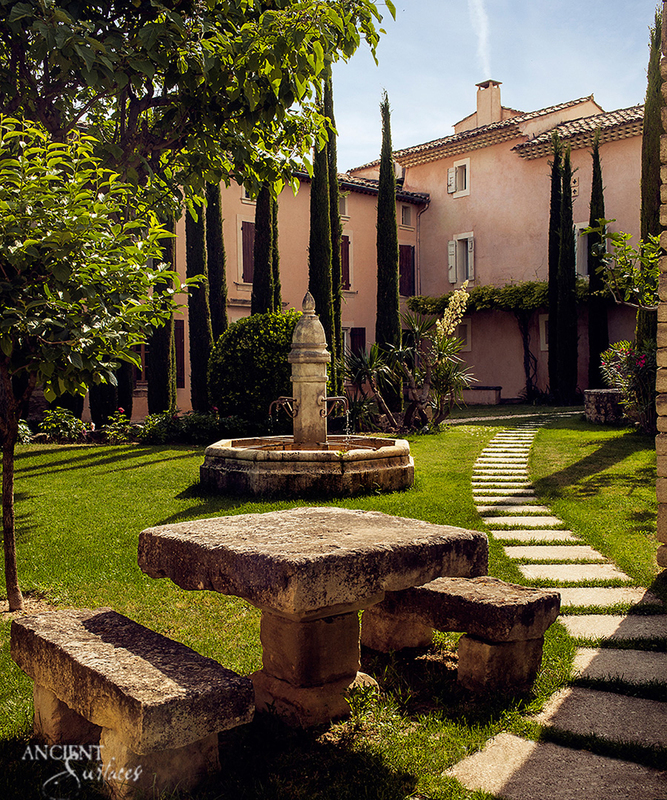 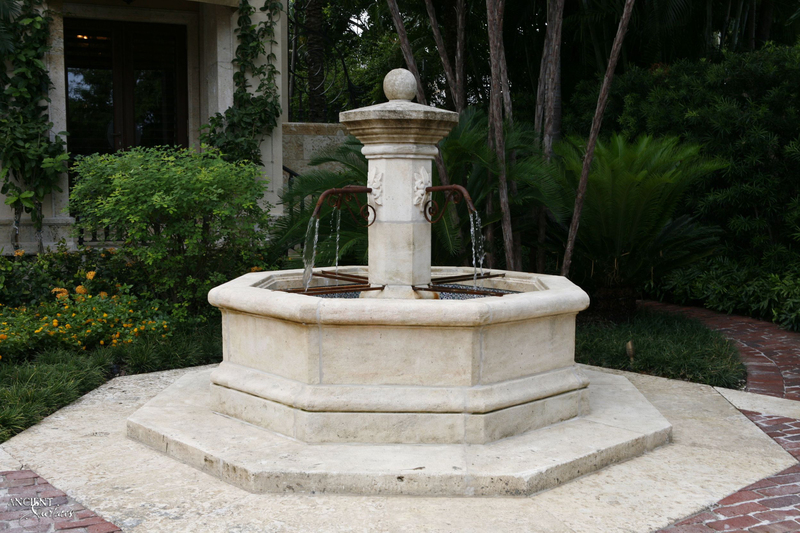 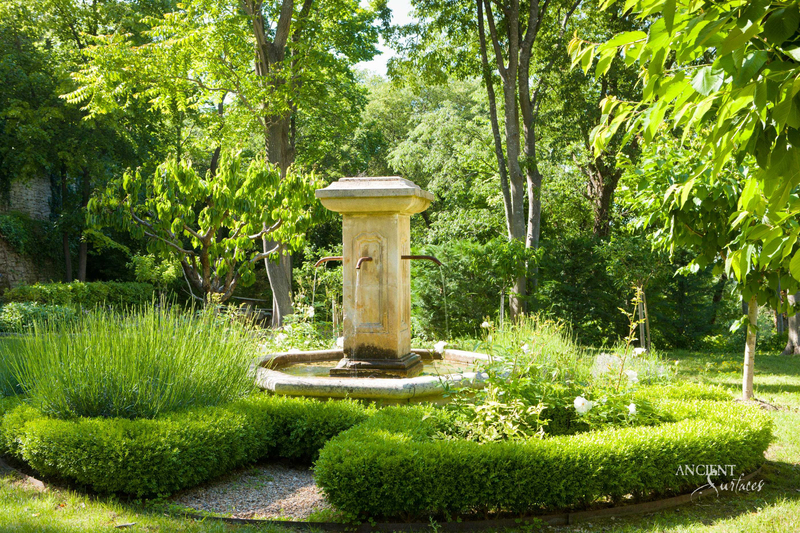 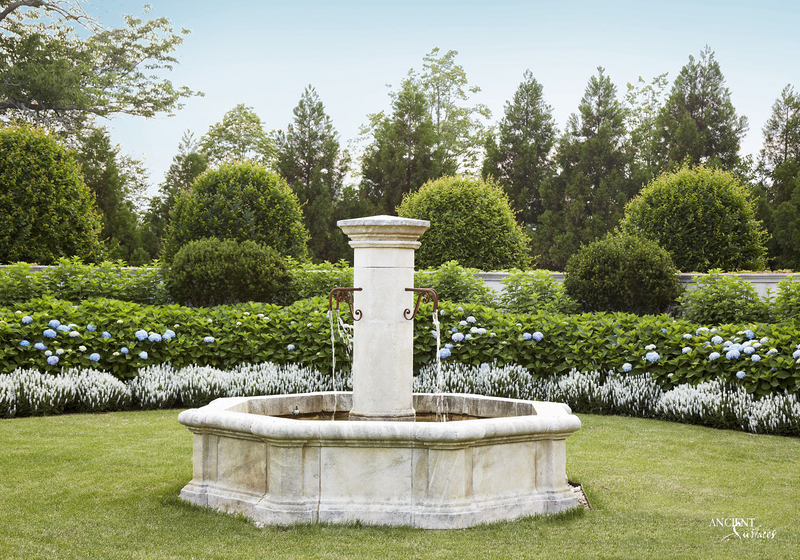 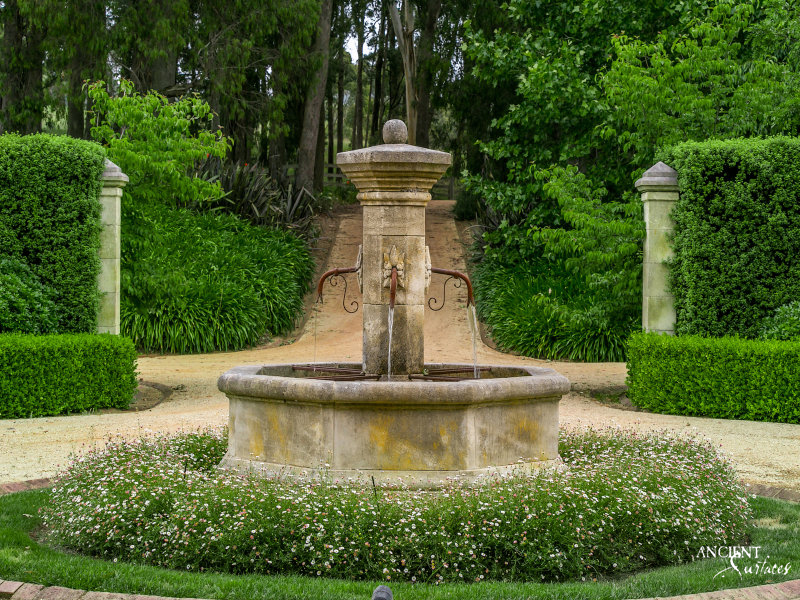 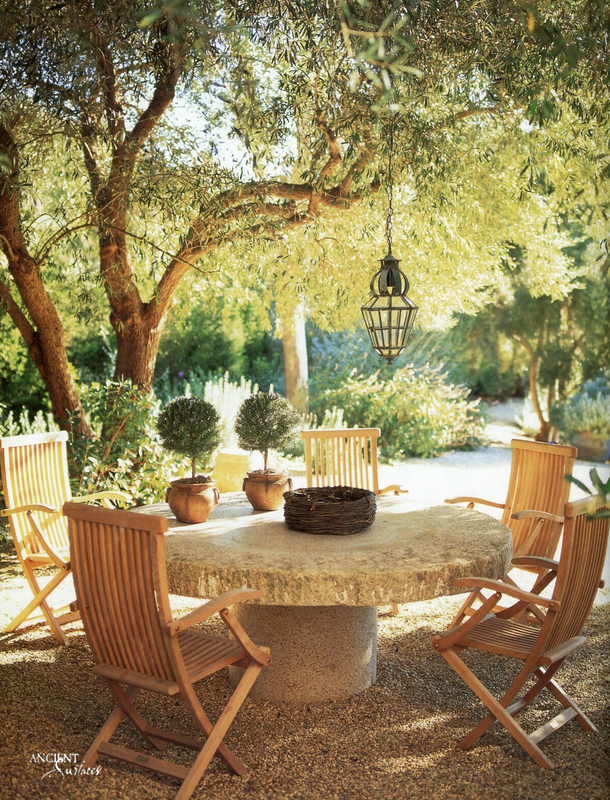 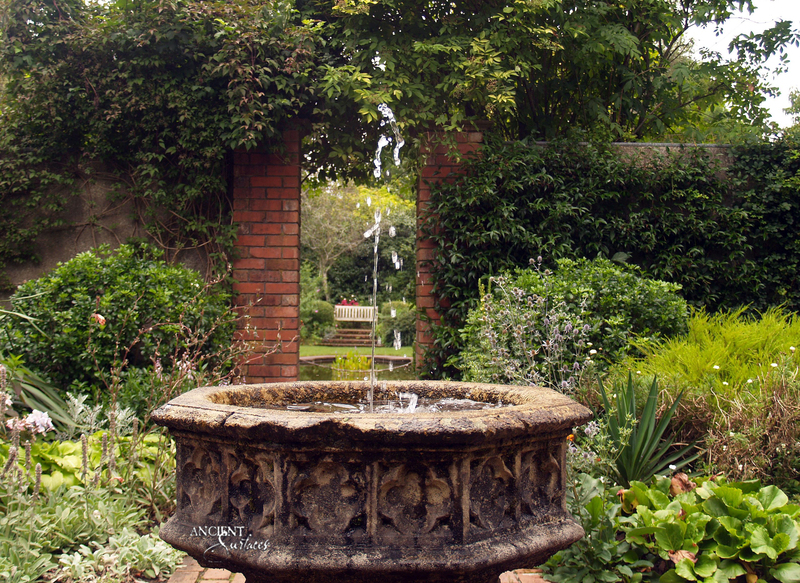 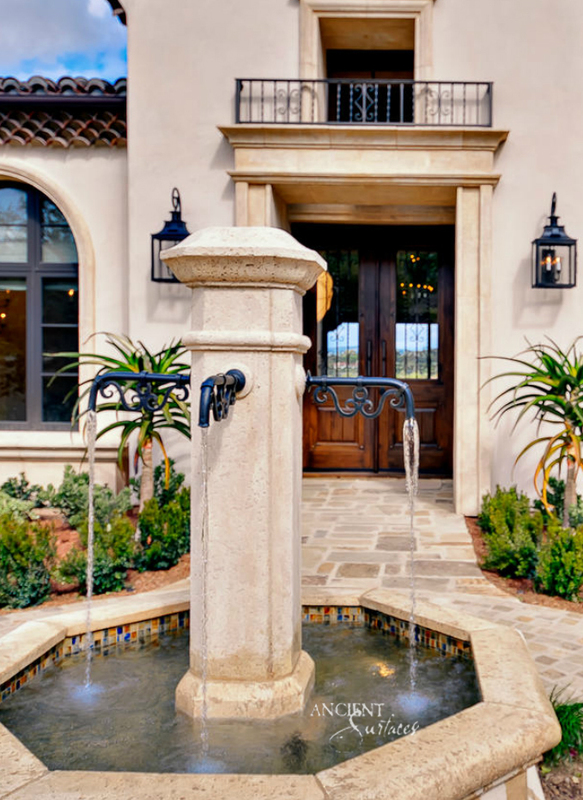 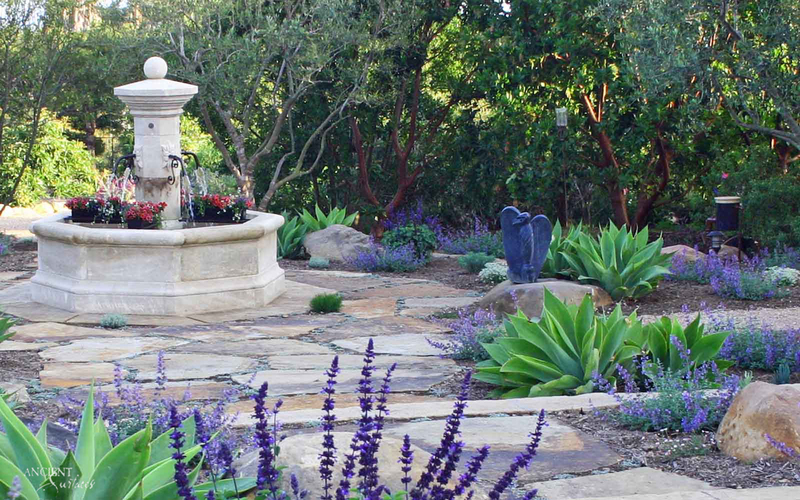 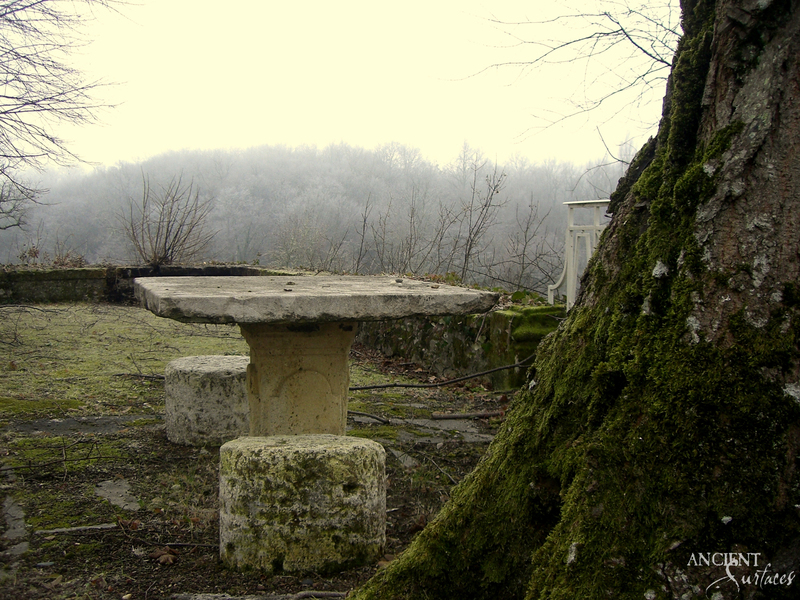 Outdoor landscaping with stone Pool Fountains | Antique Stone Fountains by Ancient Surfaces. 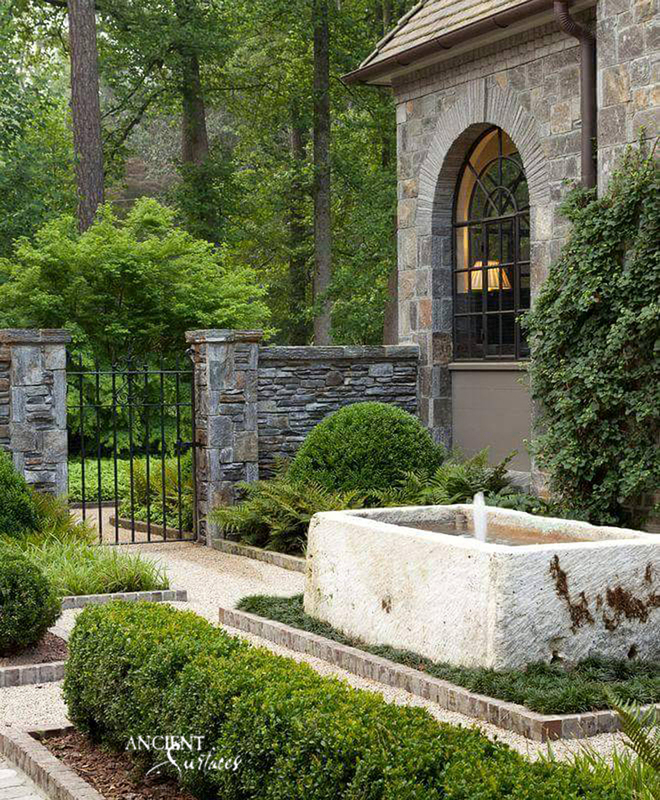 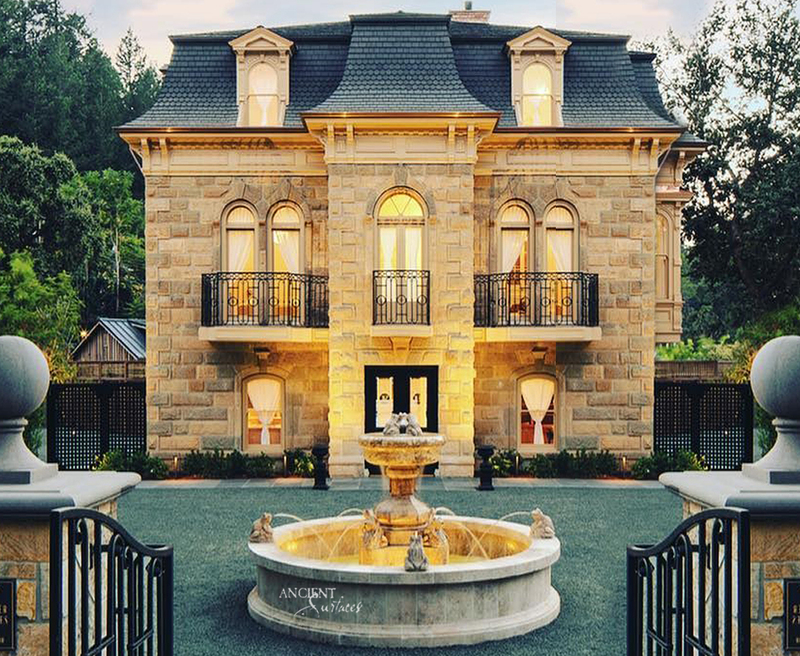 reasons would be sufficient, but the icing on the cake is the immeasurable added architectural benefit that stone water walls and stone water fountains infuse any outdoor area. 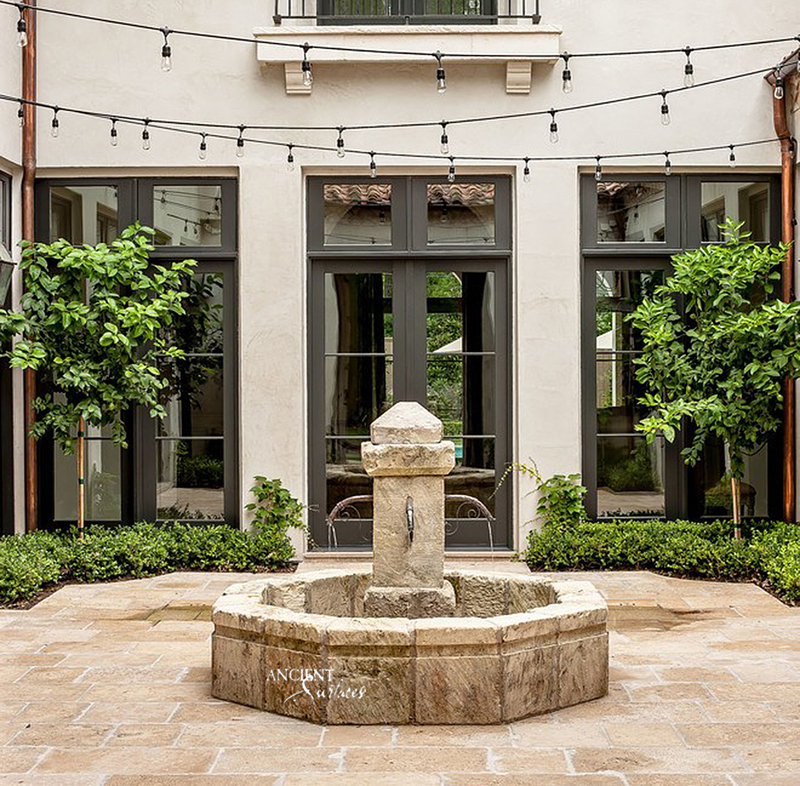 This striking effect on architecture also makes the space more livable and cozy as the Italians have discovered when they have coined the term Al-Fresco Living or ppen Air Living. 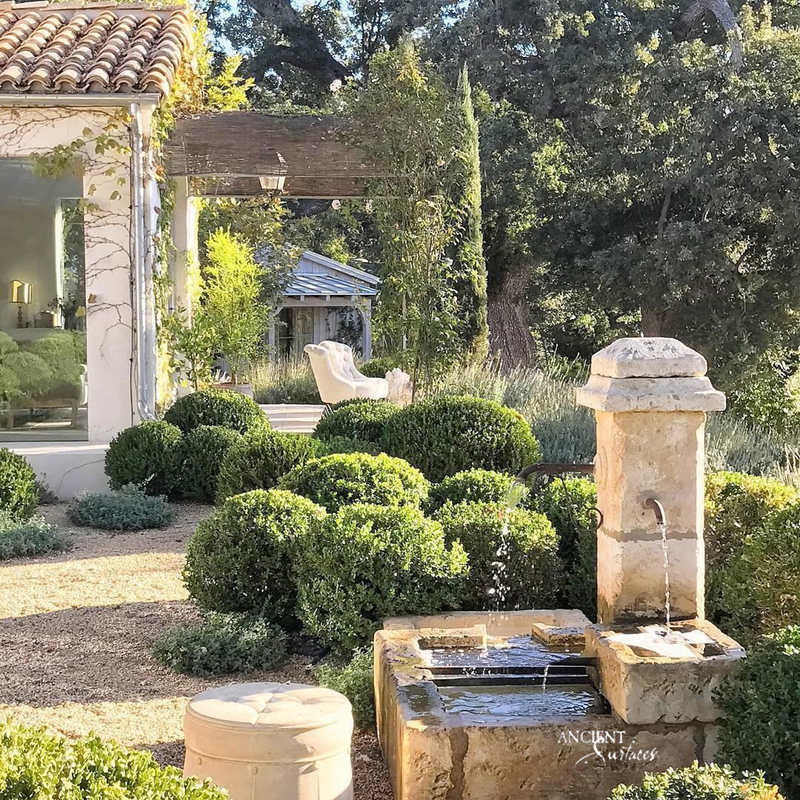 Please enjoy those lovely images we’ve gathered for you in the hopes of inspiring your next outdoor remodel or improvement project.